Aussie products are some of my favourite products and when they got in touch with me asking if I would try their Miracle Shine Conditioner I was really happy - as anyone would be really! 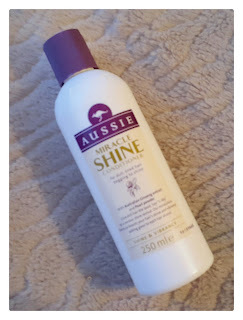 Aussie Miracle Shine Conditioner is an amazing conditioner for dull, tired hair begging to shine. With Australian Ginseng extract and Pearl Powder. Give your dull hair a boot and say "G'day" to a serious shine revival. Aussie's miraculous formula boots your hair's shine and vibrancy, adding gloss to each hair strand. Down under, Ginseng has been known for centuries as a nourishing stimulant to boost energy (Shh! It’s an ancient native secret). Australia’s also long been one of the world’s biggest producers of sparkly pearls, so what they don’t know about shine isn’t worth knowing. As a lot of people know anyway towards to end of 2015 my hair and scalp were really suffering because I have dyed my hair from brown, to bleach blonde, to neon orange within 24 hours and although I did get it done professionally it really damaged my hair and scalp. My hair was dry, brittle and very sensitive to touch. I'd tried lots of different brands of conditioner, as a lot of you know anyway, but none of them really did the job. After one wash my hair was soft, smooth and shiny. I was so happy and really couldn't thank Aussie enough! This product is very easy to use and you don't need to use too much, so also has very good value! 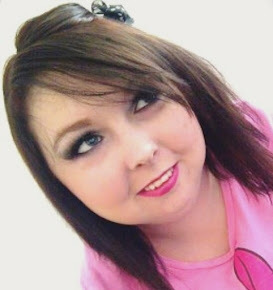 After use my hair was much easier to blow-dry and felt light, soft and silky, and there was no sign of my hair's then-usual dry and brittle hair. The conditioner smells gorgeous too which is a massive bonus. I can't express how wonderful this conditioner is, and how much it's really helped my hair. I do really recommend it to everyone. You can pick this amazing little beauty up from you local Boots or Superdrug stores. If you do pick this up let me know what you think of it? I hope you're all having a wonderful day. Their range is seriously amazing. Glad it worked on your hair.